It was a cold and blustery night in La Jolla on Thursday, December 15th, but that didn't stop those who gathered at Pacific Sotheby's International Realty's Global Headquarters to help raise funds to improve the lives of homeless, abused and at-risk youth and their families. Unwrap the Gift of Kindness, the holiday shopping event hosted by Pacific Sotheby's International Realty agents Darcy Delano Smith, Christine Wright and Colleen Coen, raised over $4,000 dollars to support San Diego Youth Services. "1 in 60 children in San Diego are homeless and in some areas of the county the numbers are much greater," according to Darcy Delano Smith. "San Diego Youth Services is a well-respected and established local organization dedicated to supporting the needs of homeless children throughout our community." The open house style event offered attendees the opportunity to enjoy tasty treats, mingle with friends and shop with purpose. Darcy, Christine and Colleen partnered with Jewels with a Purpose,a charity-driven jewelry company featuring unique and exclusive Italian-made jewelry inspired by the latest designer trends. The company's mission is to help raise funds for non-profits and organizations through donations of event proceeds. "As we are all in shelter today with the rain, remember, there are children out there without parents or a place to go and somehow still making it to school despite the odds," says Christine Wright. "San Diego Youth Services is so important to give a child not just food and shelter, but programs to help them to thrive." San Diego Youth Services (SDYS) is a nationally recognized non-profit organization that since founded, has helped to improve the lives of hundreds of thousands of homeless, runaway, abused and at-risk youth and their families. Launched in 1970 when volunteers established one of the first runaway youth shelters in America, SDYS now provides intensive services to more than 20,000 children and their families each year. This nationally recognized agency offers emergency services, safe places to live and long-term solutions for kids "on their own" by providing shelters, group homes, foster homes, community centers and transitional housing. Professional help for high risk youth is provided at all 14 major locations in San Diego County. "The number of children in our community in need of assistance and support is so great and we are very appreciative to those who came out to shop to make the fundraiser a success," adds Colleen Coen. Next years fundraiser has already been scheduled for December 14, 2017. 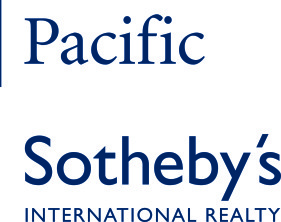 Realtors Darcy Delano Smith, Christine Wright and Colleen Coen are based in Pacific Sotheby's International Realtys Global Headquarters located at 1111 Prospect Street in La Jolla, California.